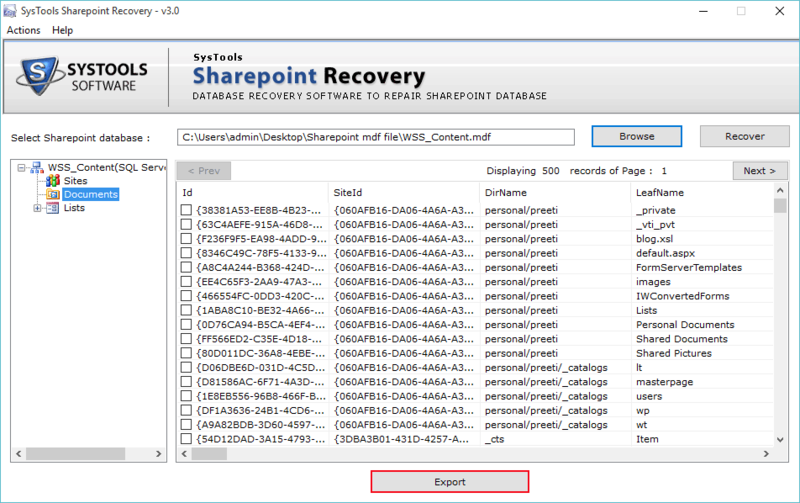 How to Repair Corrupt SharePoint Database? 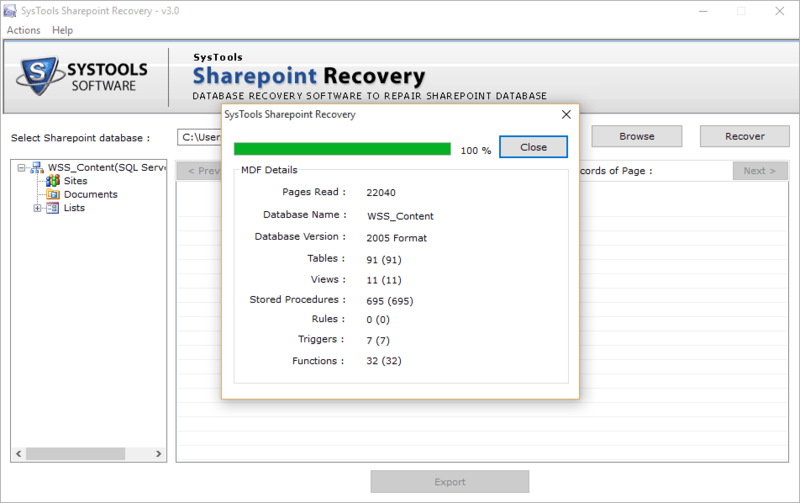 How to Repair Corrupt SharePoint File? 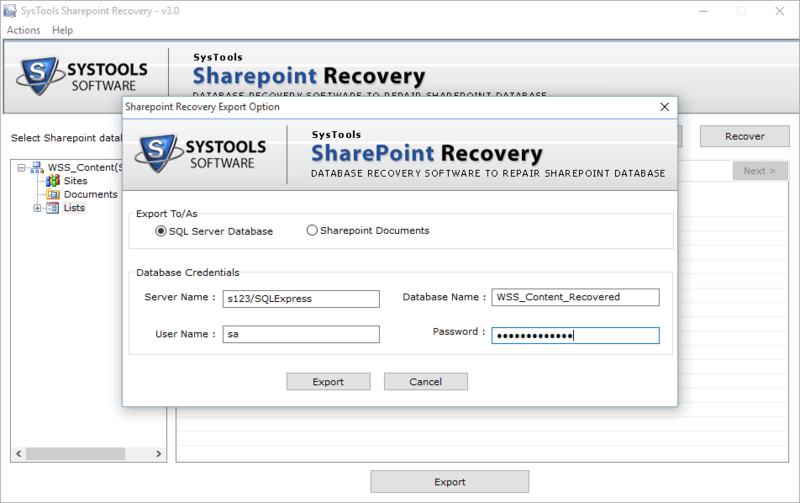 See how SharePoint Recovery Tool of SysTools works while recovering data from corrupt or damaged SharePoint database. 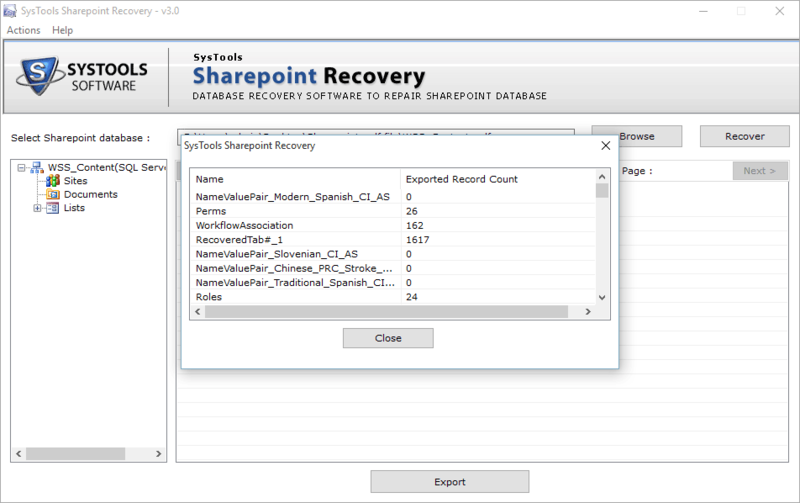 Now repair entire SharePoint databases efficiently with this SharePoint Recovery Software and restore unlimited data within it. 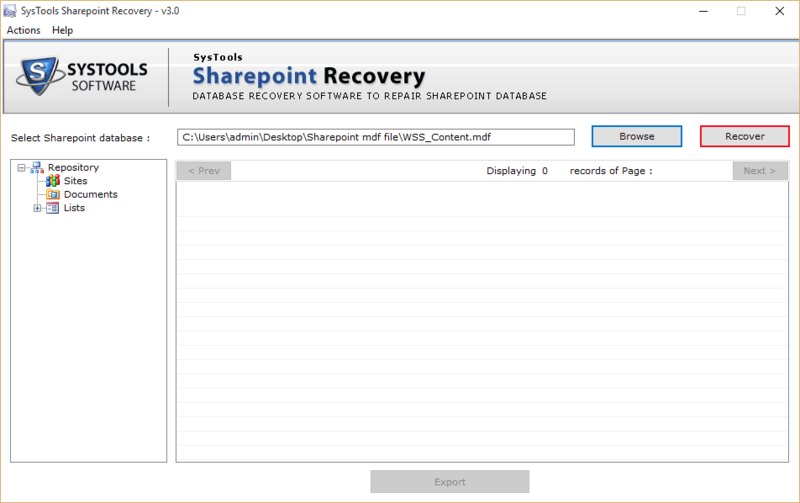 Click on the Browse button to select the corrupted or damaged SharePoint MDF file. Choose the MDF file from its respective location on the drive & click on the Open button. Click on “Recover” option to start the Sharepoint Recovery process. 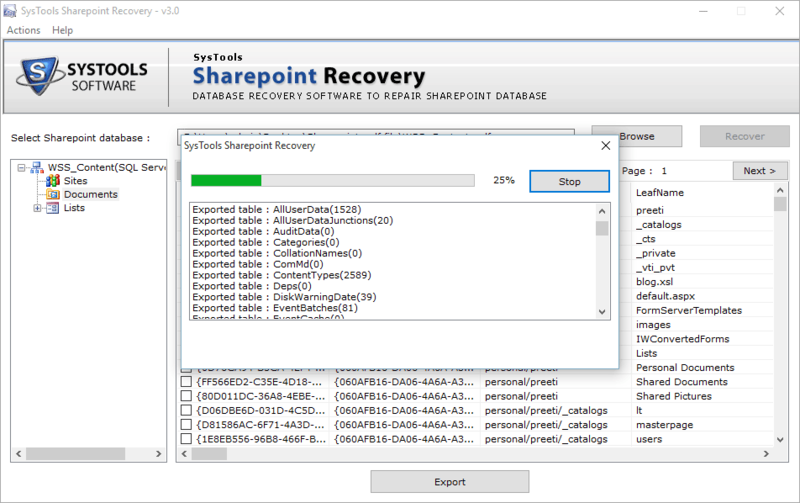 Software will start the recovery process and you will be able to view the status in the prompted window. Software will show the preview of all the documents of the repaired MDF file. Now click on the Export button in order to save the repaired MDF file. 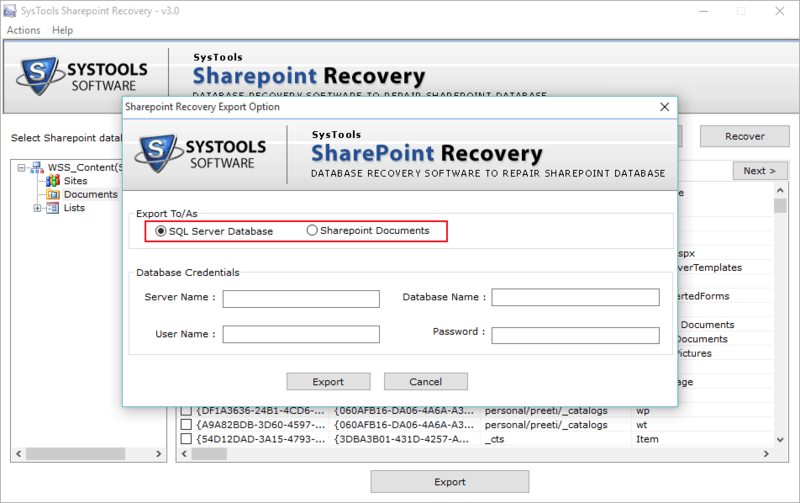 If you want to export as documents then select “Sharepoint Documents” radio button. Fill Server Name, Database Name , User Name , Password . 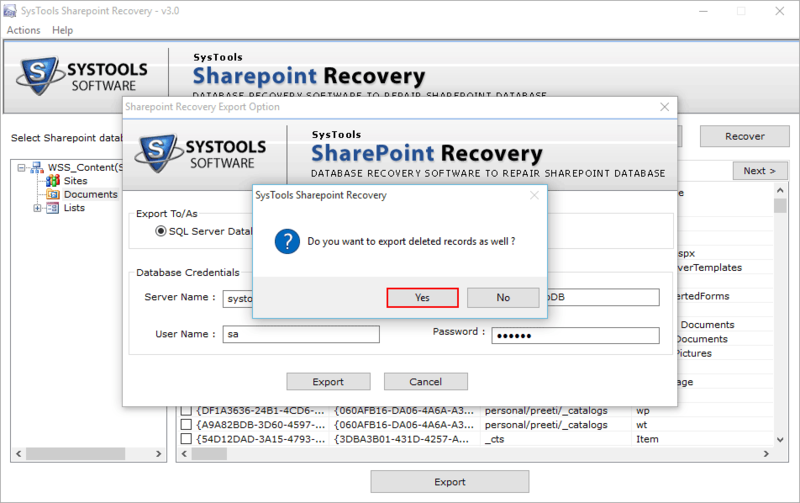 Message box will appear asking for whether you want to export deleted record as well select Yes/No. Choose as per your requirement. Software will showing export progress report live. tables name and number of records exported.